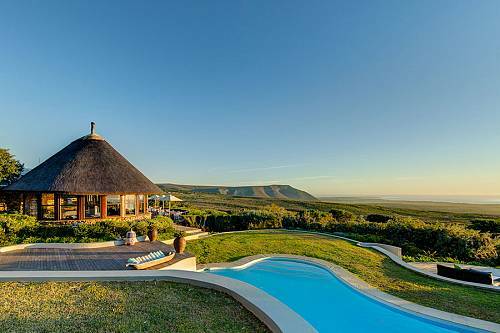 Tour the highlights of South Africa and Victoria Falls in the utmost luxury. 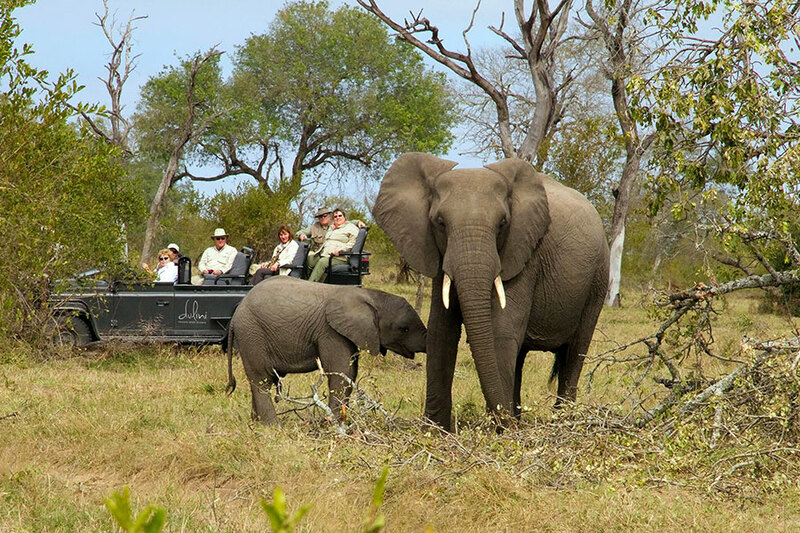 Enjoy private touring of Victoria Falls, Cape Town, and the Cape Winelands; go cage diving with Great Whites on a private cruise; ride the elegant Blue Train through the South African countryside; and enjoy luxury Big 5 safaris in the Sabi Sands and Madikwe Game Reserve. We designed this South Africa and Victoria Falls Package: Ultimate Luxury Adventure for a lively retired couple from Texas. 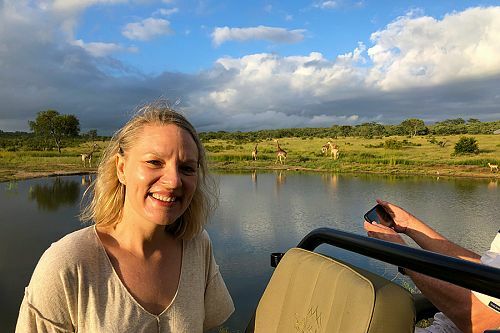 They wanted to see Victoria Falls and all the highlights of South Africa, so we arranged this fabulous tour filled with exclusive experiences, private touring, and some of the best safari experiences South Africa has to offer! 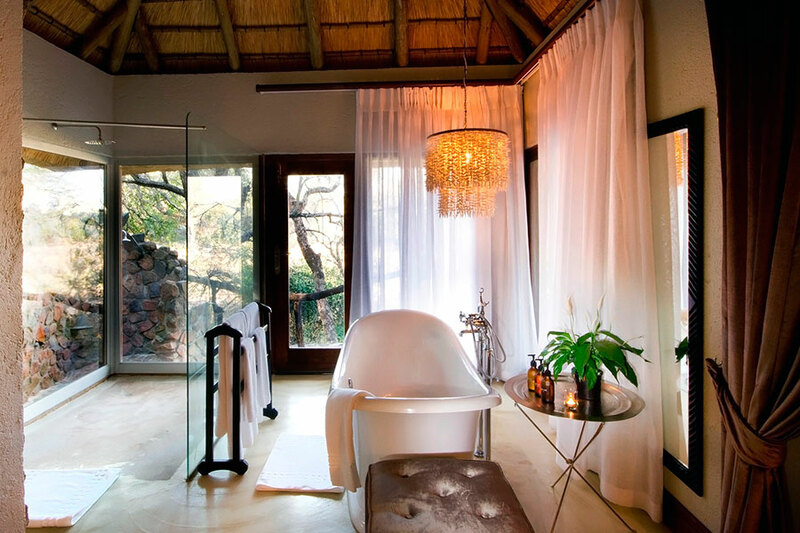 Their South Africa and Victoria Falls Package: Ultimate Luxury Adventure began at Victoria Falls. 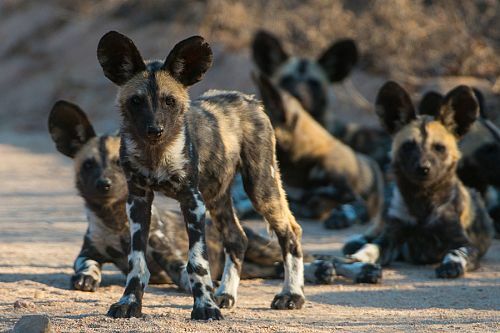 Here, they had a private walking tour, a scenic helicopter flight, and a sunset cruise on the Zambezi River, experiencing this natural wonder from all angles! Next, they traveled to beautiful, cosmopolitan Cape Town. 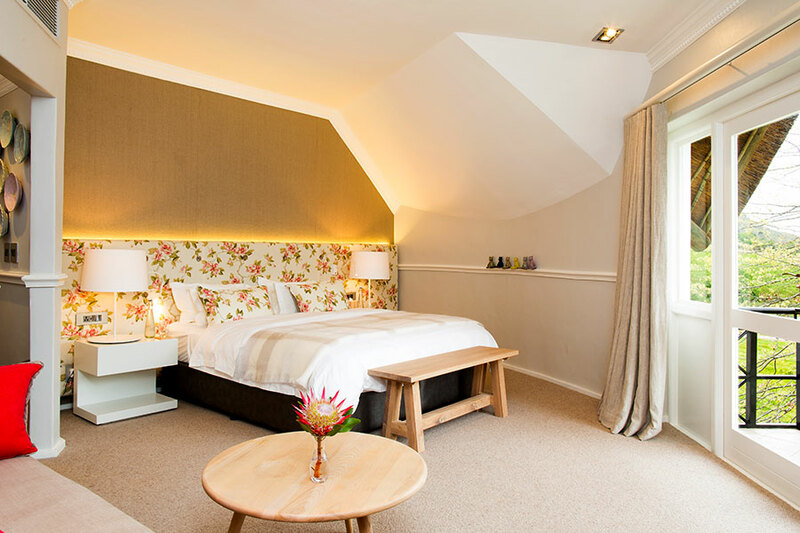 They stayed at the gorgeous Cape Grace hotel and enjoyed private touring to experience the best of Cape Town and the surrounding area. First, they took a private tour of Table Mountain and Cape Town’s quirky hidden gems. The next day, they went cage diving with Great White Sharks—a highlight of their trip! Then they took a private tour of the Cape Peninsula, full of beautiful scenery and easy hikes. They were able to see the adorable African penguins on a secluded beach away from the tourist crowds. 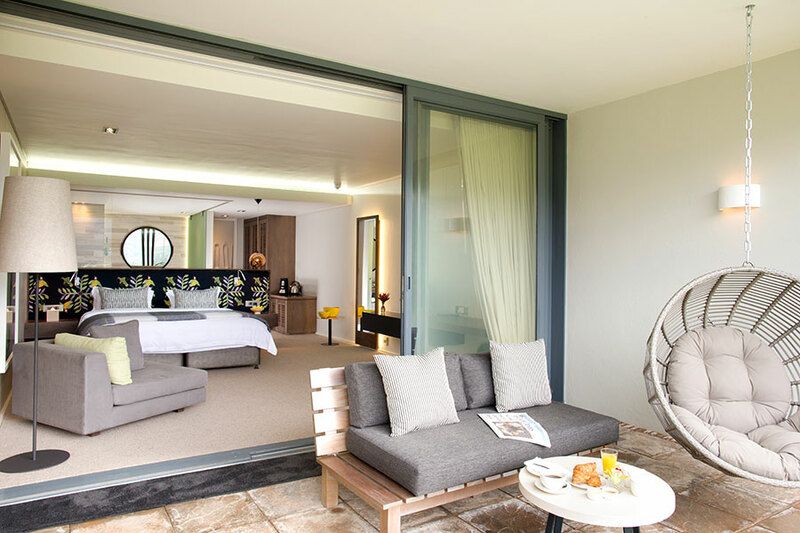 They also spent 2 nights at a luxury hotel in the picturesque Cape Winelands, complete with a private wine tasting tour. Continuing their South Africa and Victoria Falls Package: Ultimate Luxury Adventure, they took the luxurious Blue Train from Cape Town to Pretoria. This luxury rail tour offers the decadent elegance of a bygone era, complete with a formal dining car where black-tie, candlelit dinners take place. Then it was time for a Big 5 safari! 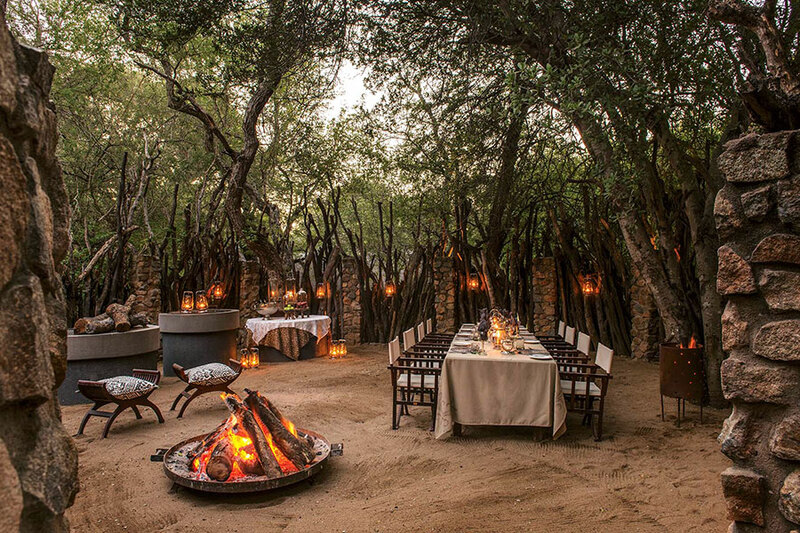 First, they spent 3 nights at the gorgeous Dulini River Lodge, located in the Sabi Sands region of Kruger National Park. 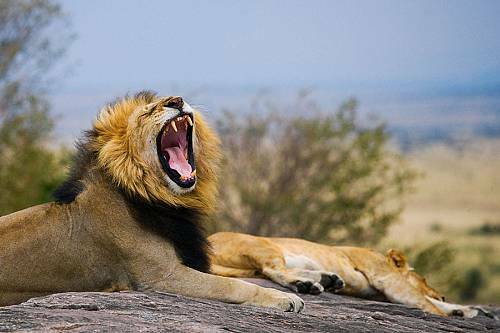 This area is world-renowned as one of the best wildlife viewing regions in Africa. Then it was on to Madikwe Game Reserve for 3 nights at Jamala Madikwe Royal Safari Lodge. 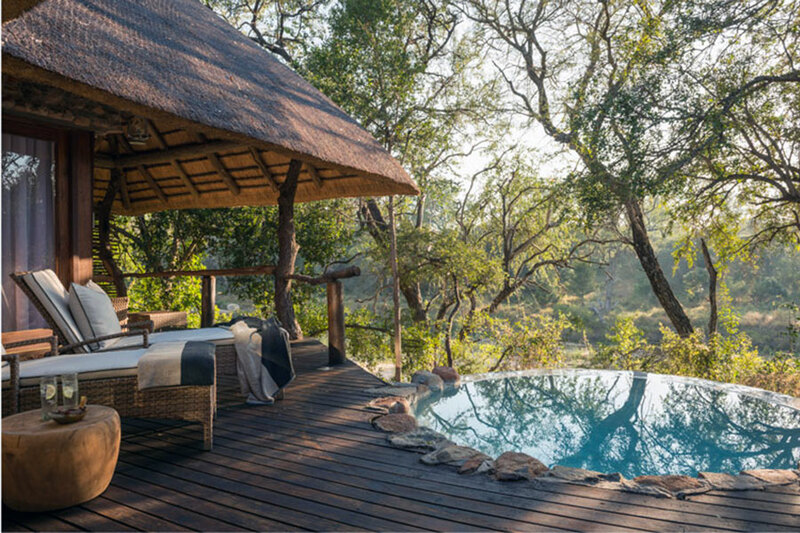 They saw all of the Big 5 of Africa on their game drives, and they loved sitting on the lodge decks and watching elephants at the active waterhole down below. This South Africa and Victoria Falls Package: Ultimate Luxury Adventure was a true whirlwind adventure filled with unforgettable memories. Having experienced the perfect mix of thrills, relaxation, and indulgence, they returned to Johannesburg to begin the journey back home. Arrive in Johannesburg, where you will be greeted at the airport, escorted through customs, and guided to your onward flight to Victoria Falls. 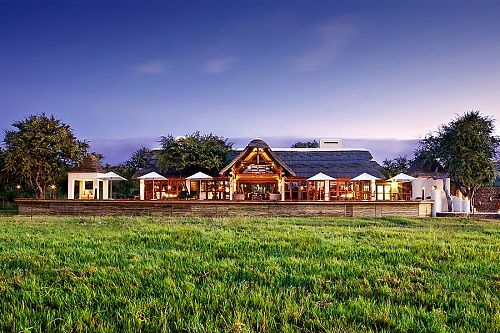 Enjoy a transfer to the luxurious Victoria Falls Hotel, located within sight of the falls. Spend the rest of the day planning tomorrow’s exciting adventures over a scrumptious dinner. Today, you’ll experience Victoria Falls, one of the Seven Wonders of the World, from all angles! First, enjoy a private, 2-hour guided tour of Victoria Falls. Follow your guide through the rainforest and along a picturesque trail with sweeping views of the falls, while they share local insight into the area’s history, flora, and fauna. After seeing Victoria Falls on foot, you’ll have a chance to catch an even more awe-inspiring view from the air on a 30-minute scenic helicopter flight. 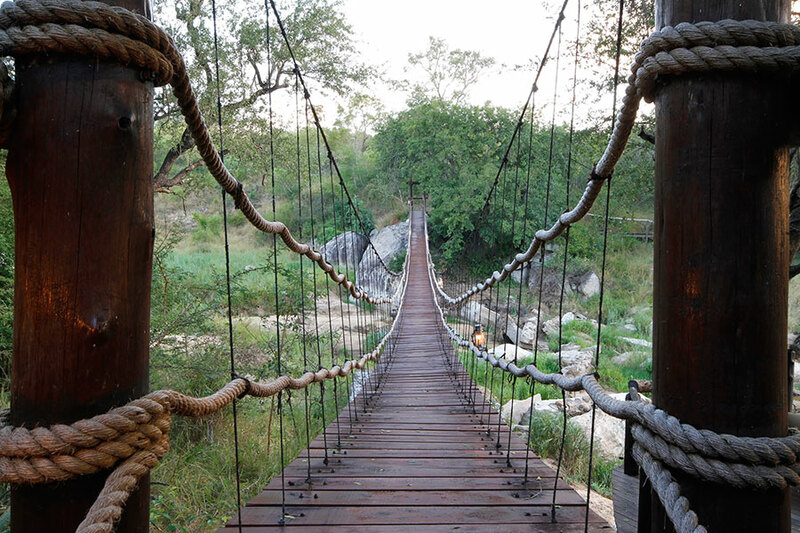 You’ll also fly over Zambezi National Park, where you may see elephants and other wildlife down below! There’s time to relax and enjoy dinner at the hotel before embarking on your evening excursion: a sunset cruise on the Zambezi River. 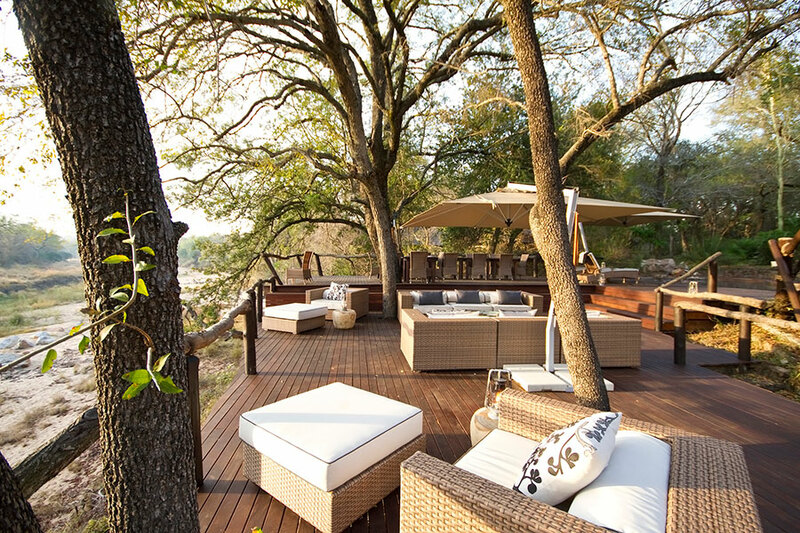 Listen to the sounds of birds chirping and hippos calling as you take in the tranquil scenery. Enjoy canapés, wines, and spirits onboard. Enjoy a transfer to the airport this morning and catch a flight to Cape Town. Your home for the next 4 nights is the Cape Grace hotel. 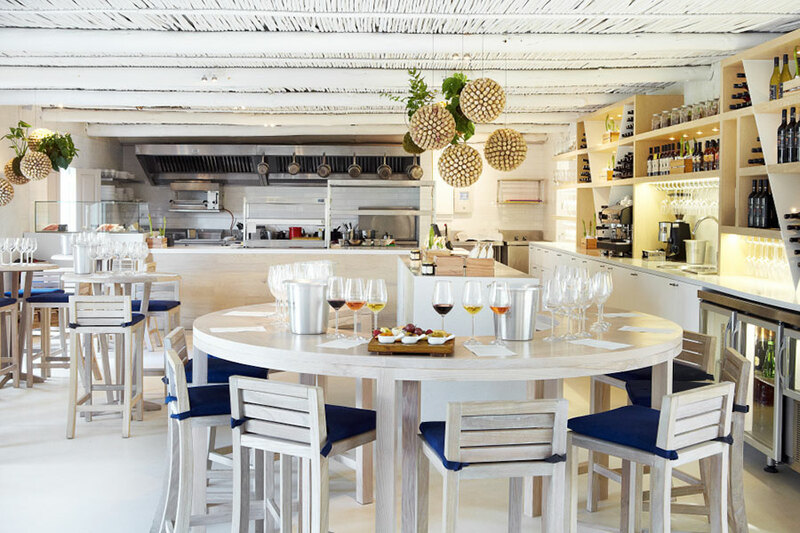 Situated on a private quay on the V&A Waterfront, the Cape Grace commands dynamic views over the working harbor, yacht marina, and iconic Table Mountain. 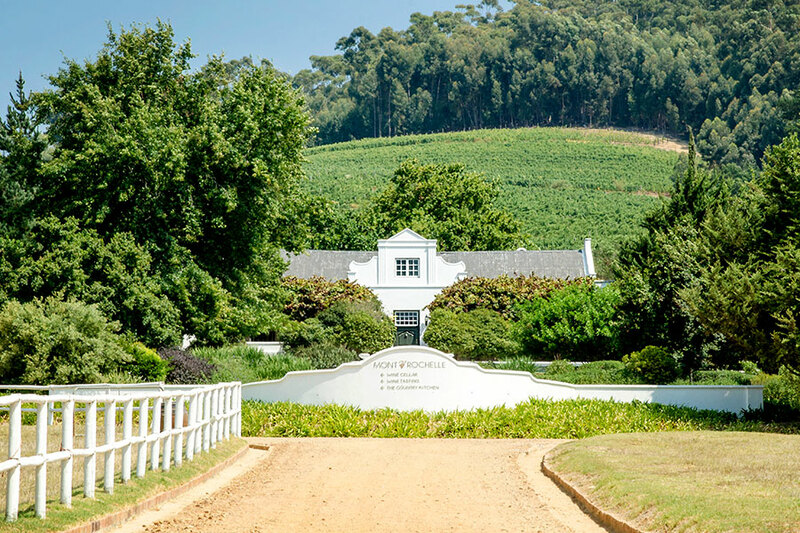 Included in your stay is a wine tasting where you’ll receive an introduction to the world-renowned wines of the Cape, as well as private chauffer transfers around town. Are you ready for a once-in-a-lifetime adventure? Today you’ll embark on a private cage diving excursion with Great White Sharks! Rise early in the morning for a transfer to Klein Bay. Board your vessel for the 5-mile voyage to Dyer Island. The island, together with Geyser Rock nearby, is home to 40,000 Cape Fur Seals, the Great White Shark’s favorite prey, and the channel which runs between them is known as Shark Alley. This is where the anchor is lowered. Watch them feeding at the surface alongside the boat. The cage is then lowered and you’ll witness these incredible hunters of the deep at eye level, protected by galvanized steel mesh! A light lunch and refreshments are served on the boat. Return to land at approximately 3 pm for your transfer back to Cape Town. Enjoy another private tour this afternoon, this time exploring the Cape Peninsula south of Cape Town. 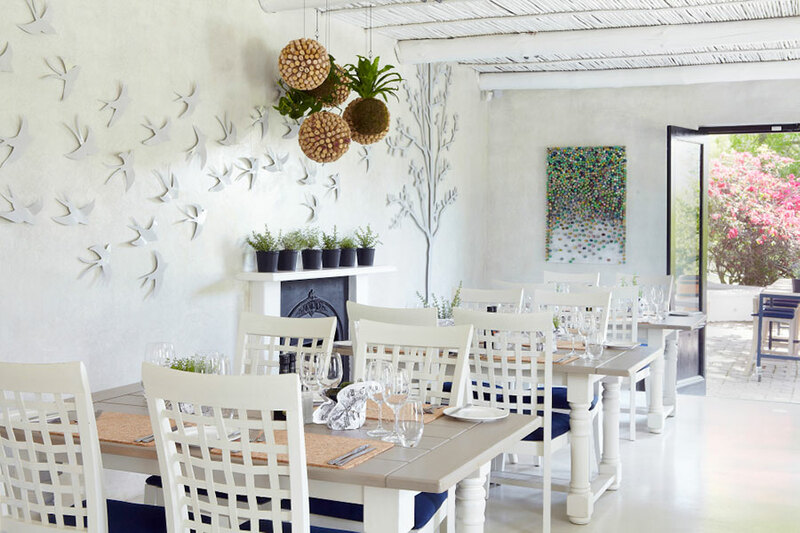 Begin at bohemian Kalk Bay and the history-rich Simon’s Town. Then, see adorable penguins away from the crowds on a secluded beach known only to locals. Your tour ends with a gentle hike in the Cape Peninsula Reserve, exploring secluded beaches, shipwrecks, and unique wildlife. 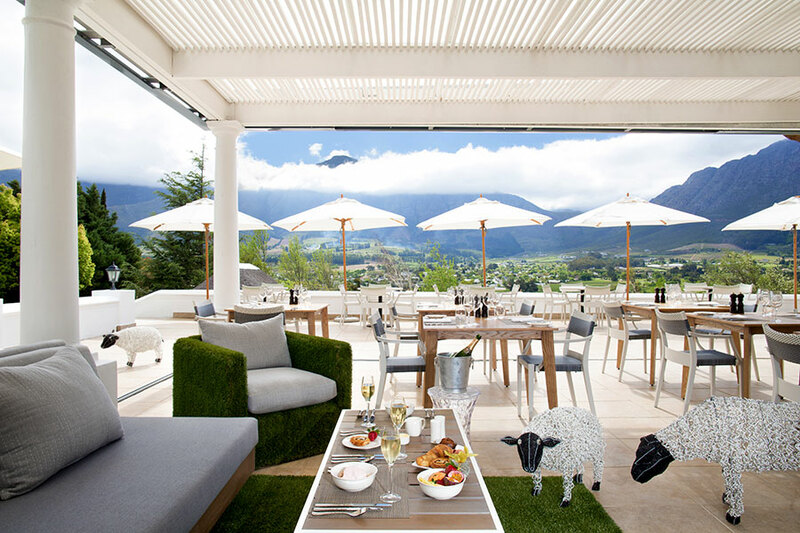 Weave back to Cape Town via Noordhoek Farm Village, and perhaps stop for a little wine tasting at Cape Point Vineyards, producer of some of South Africa’s finest sauvignon blanc. 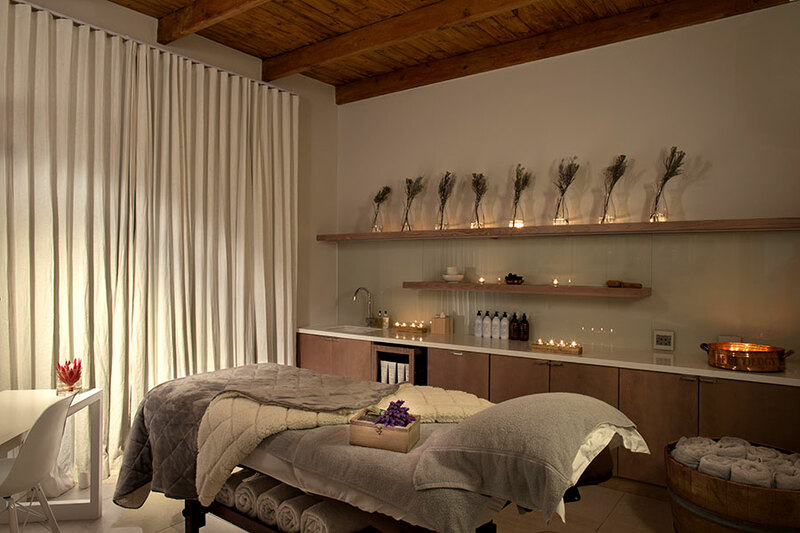 After your adventures in Cape Town, it’s time for relaxation and indulgence in the nearby Cape Winelands. 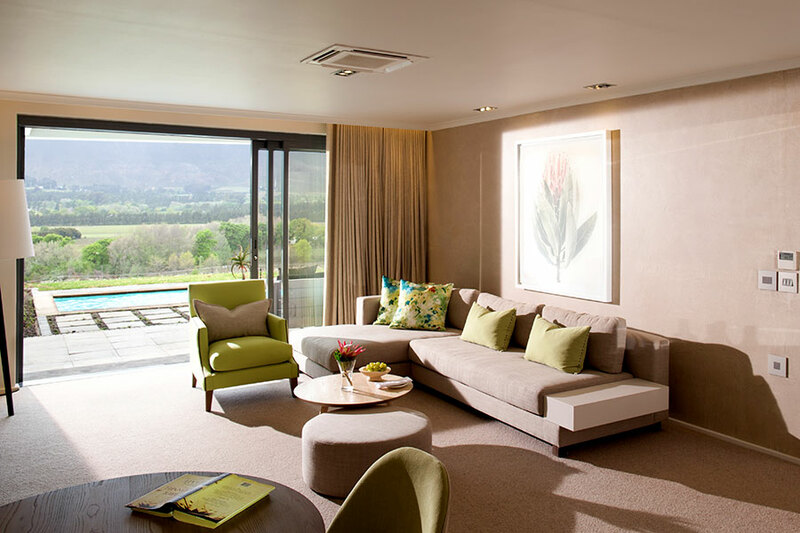 Enjoy a private transfer to Mont Rochelle, your home for the next 2 nights. 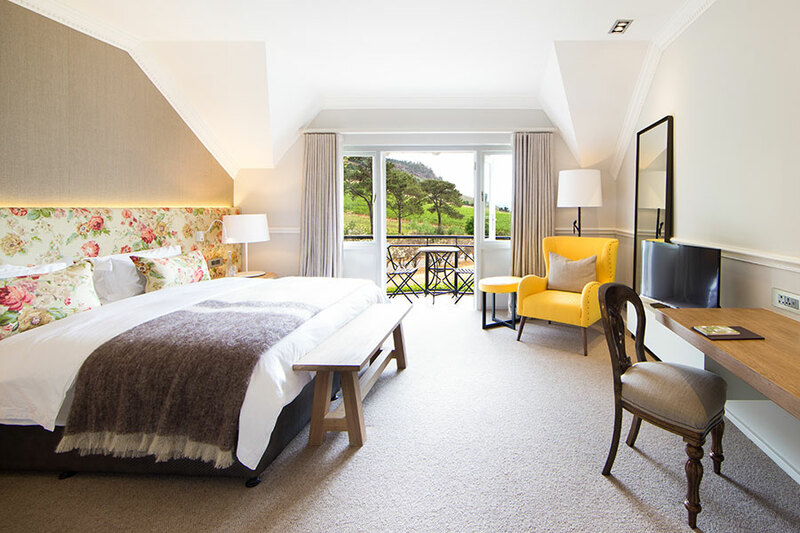 Surrounded by picturesque vineyards and a dramatic mountain backdrop, the lovely Mont Rochelle is a haven of elegance and tranquillity. 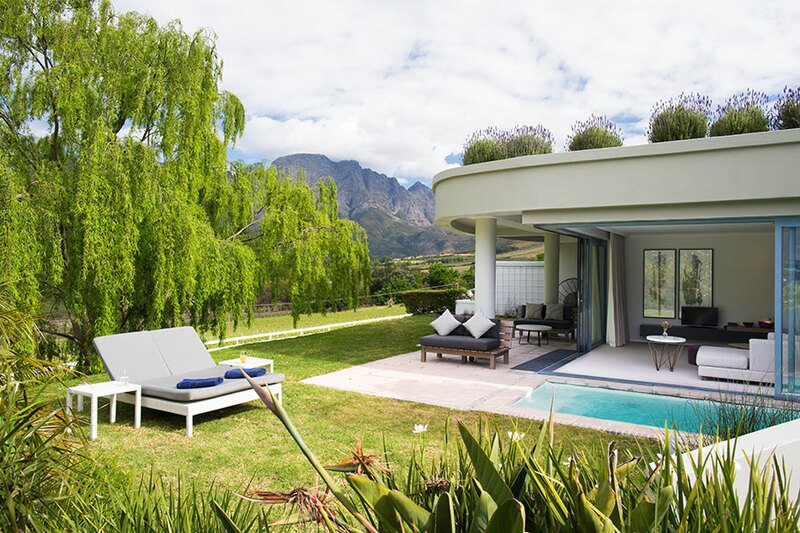 Enjoy a private tour of Stellenbosch, Franschhoek, and the beautiful Cape wineries. 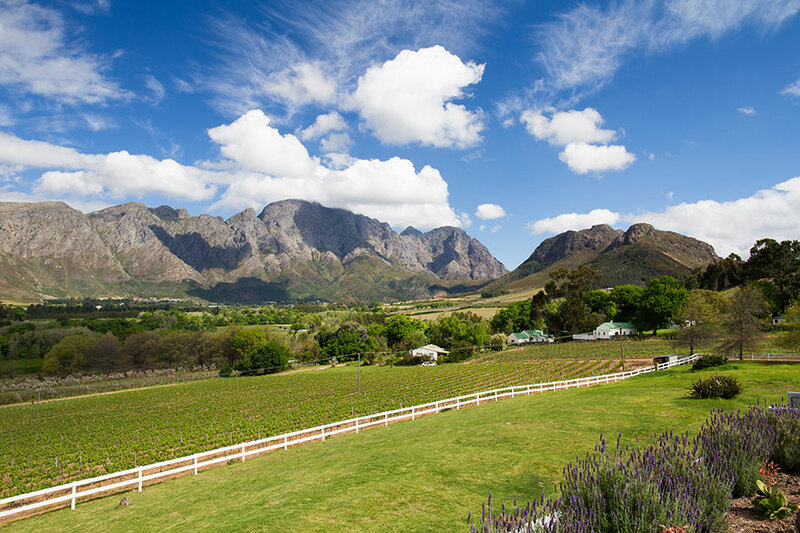 You’ll explore some of the most picturesque places in South Africa, visiting fascinating towns and taking a look into off-the-beaten-track farms which revel in their old-world roots and influences. Today is about so much more than just sipping the wines. Depending on time and season, you’ll stroll through the vines, learning about farming methods and techniques. Take an intimate wine tasting and cellar tour, and possibly meet the driving force behind the estate. If you’re lucky, your private behind-the-scenes experience could include grape picking or barrel tastings. A delicious gourmet lunch with wine pairings is included in your tour. 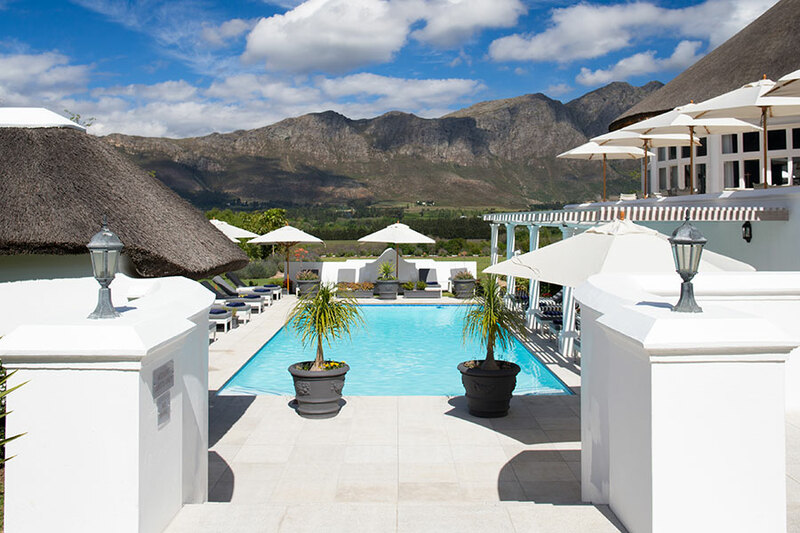 Today, enjoy a transfer to Cape Town Station, where you’ll begin the next stage of your journey: a 2-night scenic rail tour from Cape Town to Pretoria aboard the luxurious Blue Train. 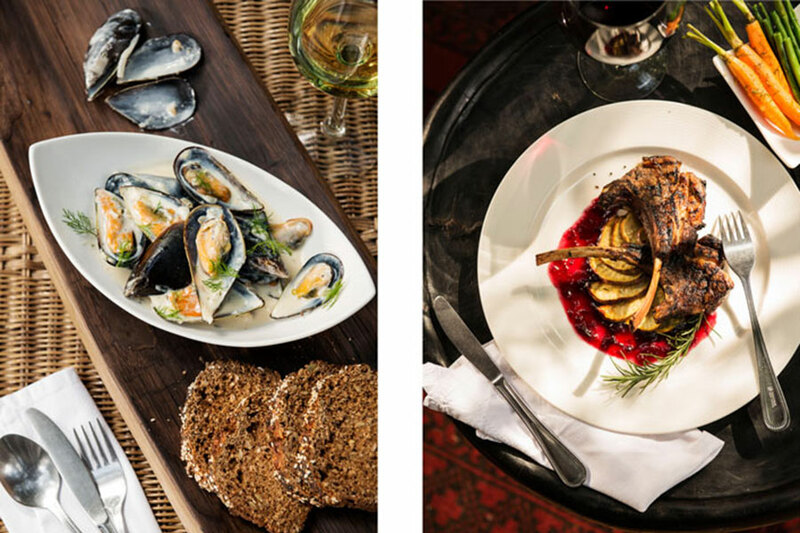 Fine cuisine, complemented by the best South African wines, is served with the ever-changing scenery flashing past the windows. The welcoming Lounge Car has large windows and is near the relaxed Club Car, an ideal social meeting point for aperitifs or after-dinner coffees and cognacs. Enjoy high tea and a formal dinner onboard today. Enjoy breakfast and lunch onboard. In the afternoon, arrive in Kimberley for a special excursion. Explore the Open Mine Museum (complete with a welcome glass of sherry) and learn about Kimberley’s Victorian-era history during the diamond rush. Visit the Big Hole, where rock walls descend 215 meters to a deep blue pool. Return onboard for dinner as the train departs for Pretoria. Arrive at Pretoria Station this morning and enjoy a private transfer to your beautiful Johannesburg hotel. Intimate and welcoming, this luxury property offers a sophisticated oasis for the discerning traveler. Take a dip in one of the pools or relax with a treatment at the Sky Spa. 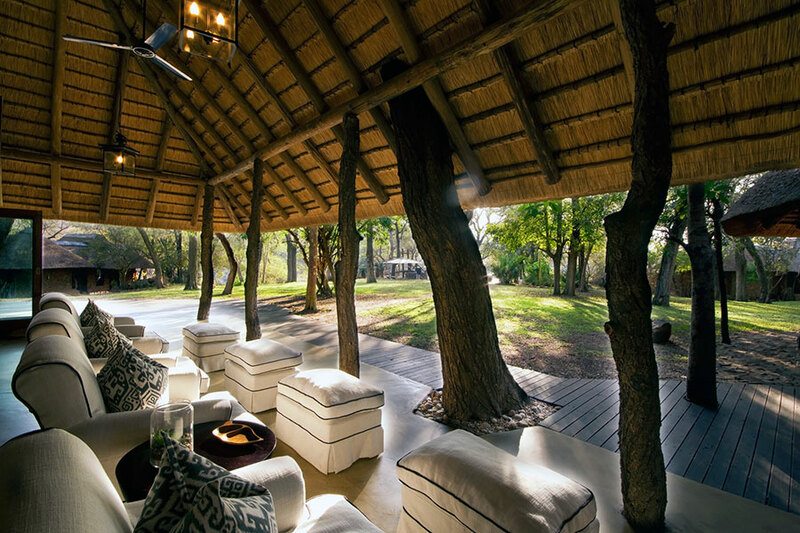 Enjoy a private transfer to the airport, where you’ll catch a flight to the world-famous Kruger National Park. 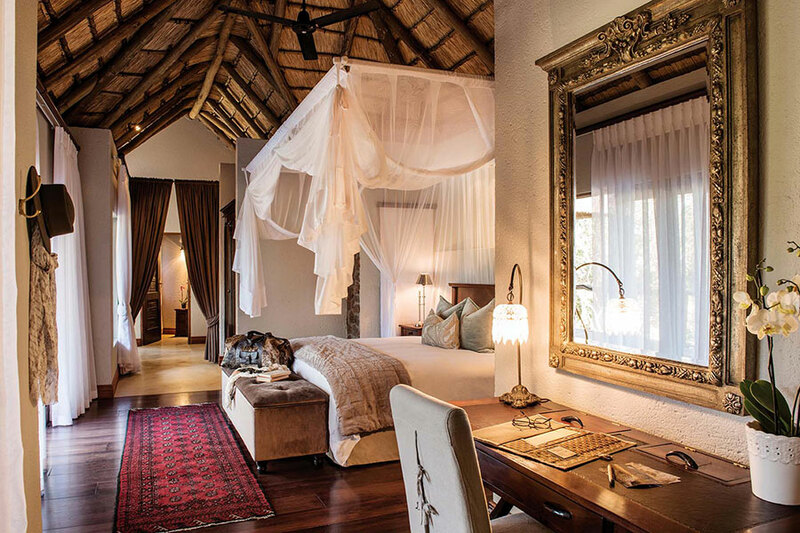 Your home for the next 3 nights is Dulini River Lodge—one of the most exclusive and luxurious safari lodges in South Africa. 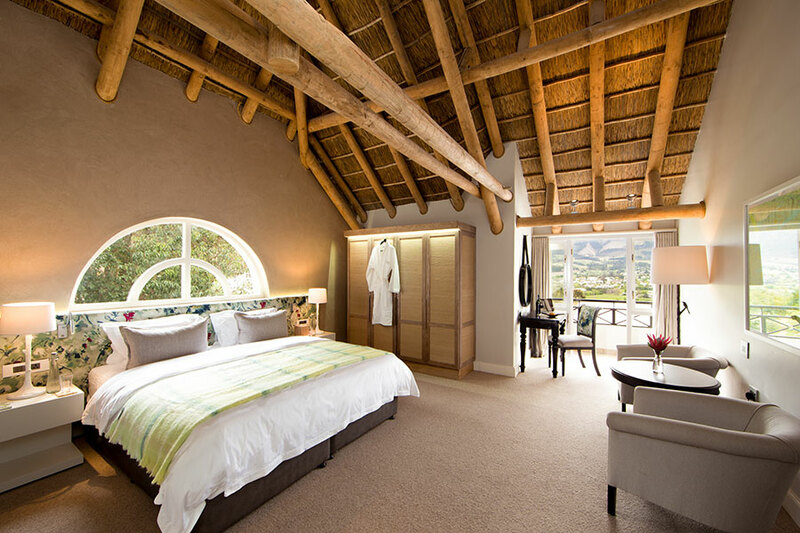 Your spacious suite offers private views of the riverbed, where you may see some African wildlife without even leaving your room! 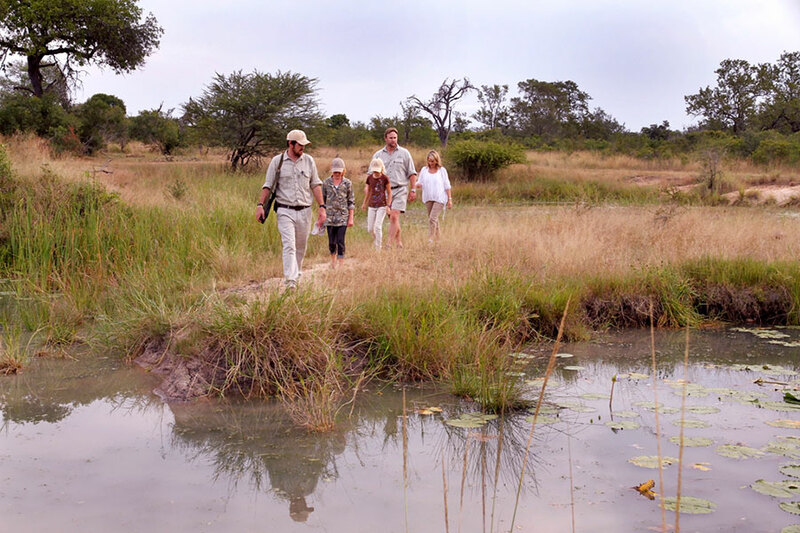 Enjoy 2 full days on safari in the Sabi Sands, widely considered a top safari destination. 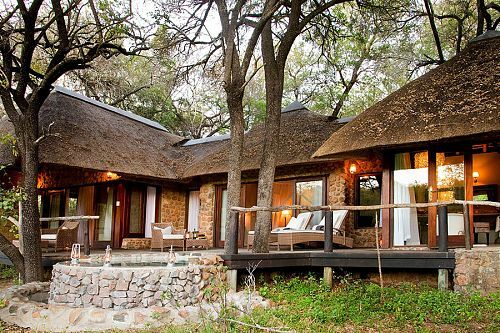 The area shares an unfenced border with the famous Kruger National Park, so Big 5 game viewing is superb. 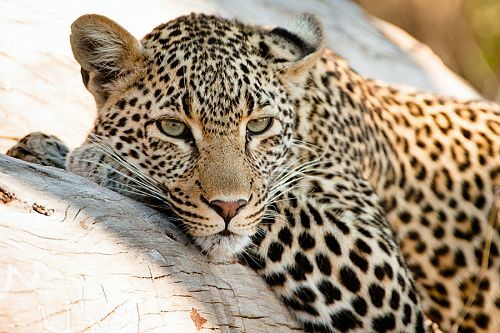 The Sabi Sands is especially well known for its abundance of leopards, which are quite difficult to spot in other areas. Your safari vehicle will carry a maximum of 6 passengers, and your expert guides will share their wealth of knowledge to unravel the intricate nuances of the African bush. 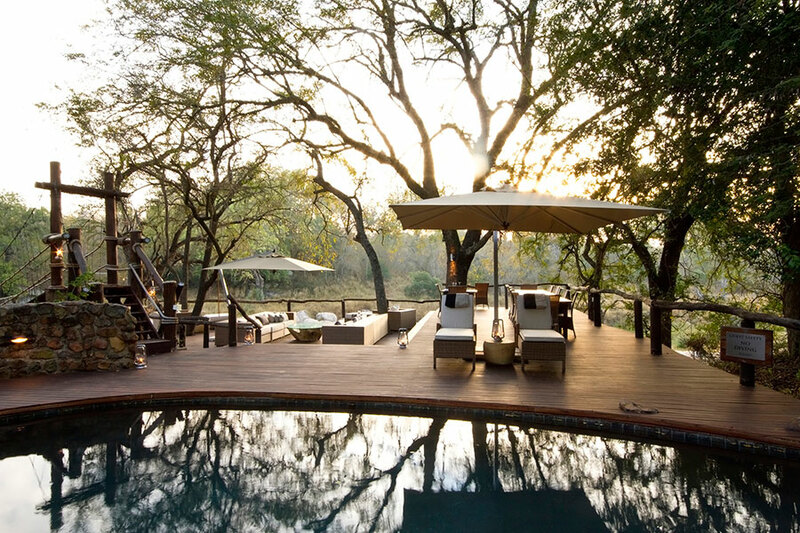 Your safari adventure continues with a flight to Madikwe Game Reserve via Johannesburg. 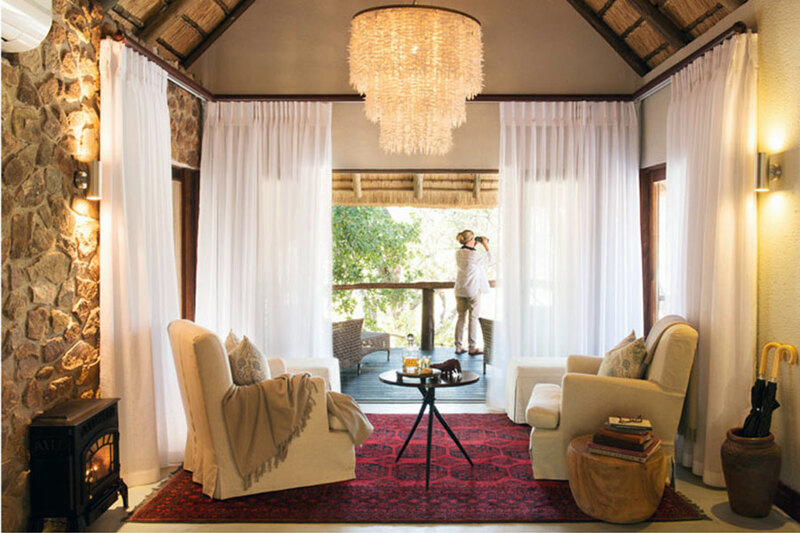 Your home for the next 3 nights is Jamala Madikwe Royal Safari Lodge, which overlooks open plains extending toward distant towering peaks. 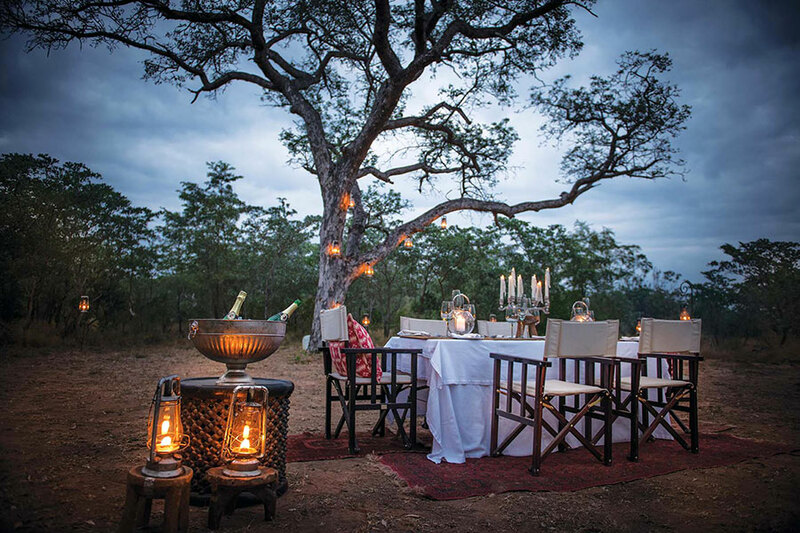 Exquisitely luxurious, the property exudes a colonial elegance and provides an intimate safari experience paired with award-winning cuisine and superb game viewing. 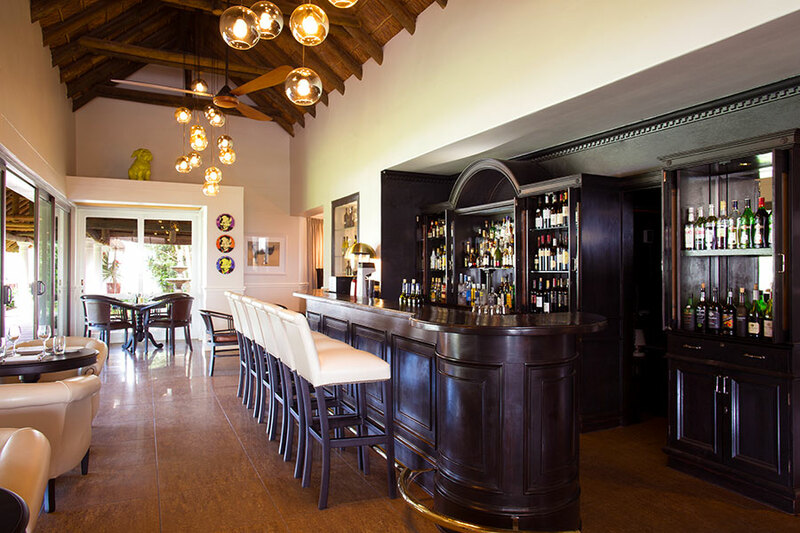 Embark on a game drive this afternoon, and return to the lodge to sip a sundowner cocktail on the expansive deck, keeping an eye out for the animals that roam free around the lodge. 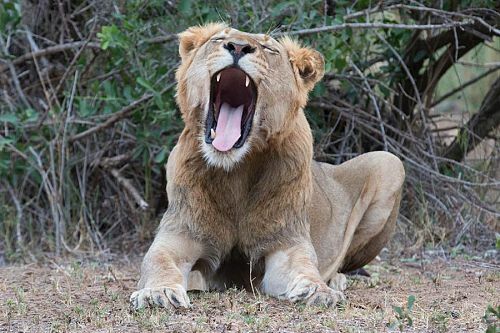 Your whirlwind South African adventure comes to a close today. Catch a scheduled flight back to Johannesburg to begin your journey back home.